I love flickr. I started using it as a marketing tool but it rapidly became a daily treat to look at. It's a lovely way to catch glimpses into the lives and brains of other designers and artists. I am quite attached to the "Notes" feature where you can leave little messages on pictures - it's as if life is a comic strip and I can pen in little thought balloons. But I digress. The other day rhembein found me on flickr and wrote this very flattering blog post about it (which is why I'm blushing). There were all sorts of harmonic convergences in our meeting, including the fact that the island where she lives is one I visited on my honeymoon! You can see more of her gorgeous creations at her site. Hurry, go check them out! 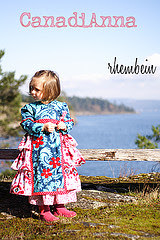 Thanks so much for the the lovely blogpost, rhembein! I love what you say about comic strips and thought balloons so true! I'm almost as addicted to flickr as I am to Etsy :) Loved that blog post about you too, yay!! Hee hee! Thanks Maia! Now I'm blushing too! :) It was funny "how we met". Hee hee!! All well deserved :) Congrats!